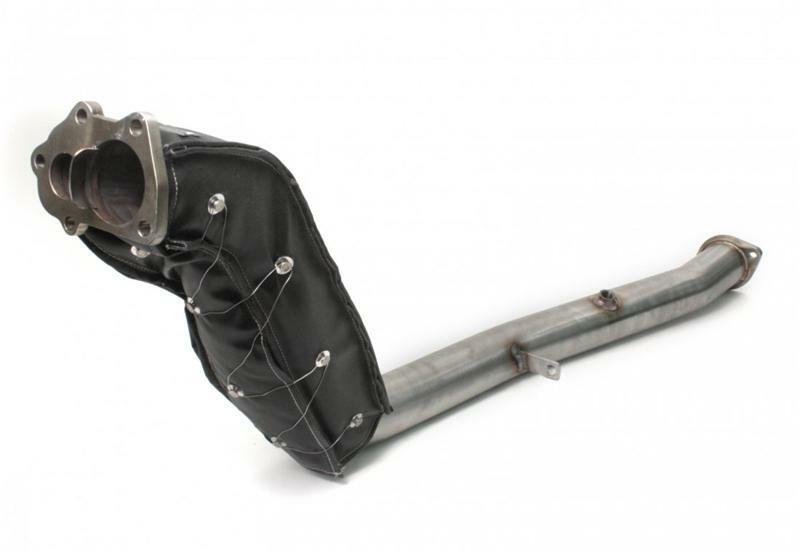 PERRIN Thermal Blankets improve response and power by insulating exhaust components from losing critical heat, increasing exhaust flow, all while lowering under hood temperatures. PERRIN Thermal Blankets will improve response while lowering under hood temperatures. Thermal losses from headers, uppipes, downpipes and turbine housings cool exhaust temperatures thus the exhaust loses energy and velocity. This cooling effect reduces turbo response and horsepower. PERRIN Thermal Blankets insulate the exhaust from losing that critical heat, which in turn maintains the velocity of the exhaust gases. Improve power and protect vital under hood components from heat damage with this easy-to-install and economical part from PERRIN! PERRIN Thermal blankets are internally insulated with high temperature silicate wool and feature a woven silica lining which increases durability, improves thermal resistance and protects your aftermarket parts, allowing for easy & simple removal and reinstallation. Stainless steel rivets are mounted to the blanket and stainless steel wire is supplied to secure the blanket to your exhaust components. This allows for simple “Lace Up” type installation, even with the parts already installed! The shape of the PERRIN Thermal Blankets are specifically designed to fit over all stock Subaru parts, and all PERRIN components, as well as most aftermarket versions.